Just Dance 2 Review: Is This Wii Dance Game Worth Buying? 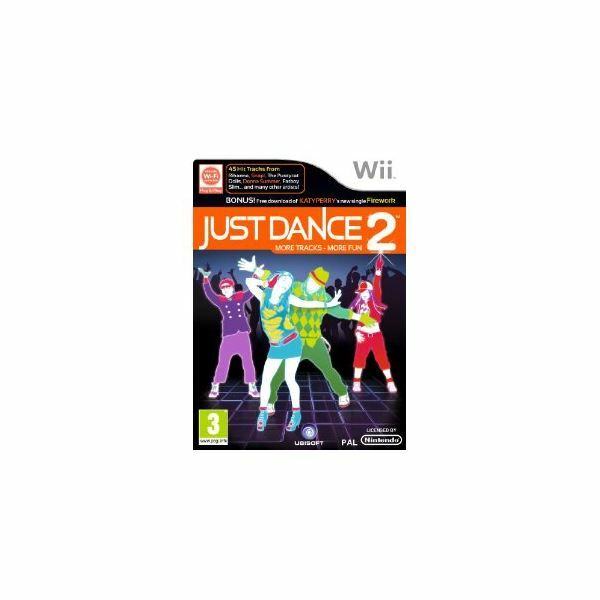 As one of the best fitness and party games for Wii on the market, Just Dance 2 not only holds its own again the original game, it goes the extra mile too. There are plenty of extras to keep even the fussiest gamer occupied, such as "party play" that has two modes – either play with a group of up to eight dancers in a dance-off, or start a dancing duet; an online collection of additional tracks and dances that can be downloaded via WiiWare; and perhaps the best addition is the "Sweat Meter" that shows you how hard you’ve been working during a good dance session. Fans of the original can vouch for this being one of the best Wii games for burning calories, and now you can prove it. The biggest improvement however, is the addition of better body tracking. The ability to track moves accurately using just one controller held in the same hand throughout the dance, was the biggest drawback of the first JD game. Often it wouldn’t record you’d made a move, and others it would just say you’d done it wrong. I still feel that further progress is needed in this area, but the recognition of moves has definitely been improved in JD2, and it even offers feedback, giving you performance tips on how to improve. The graphics have been jazzed up a little, but are still pretty retro and basic, but it’s not a game that suffers from this as you’ll be too busy having fun anyway. As far as diversity of tunes is concerned, Just Dance 2 on the Wii, will not disappoint. You can dance like a "Proud Mary" with Tina Turner, "Walk Like an Egyptian" with the Bangles, or get an ultimate "Power" dance workout to Snap. There are a lot of retro favorites like Cher and "The Shoop Shoop Song", as well as bang up to date tunes from Pussycat Dolls, Rihanna, and Ke$ha. This edition of the game even comes with a bonus track of the new Katy Perry track "Firework" that can be downloaded for free – you don’t get much more up to date than that. As far as the type of dances is concerned, there is definitely something to suit everybody from child to senior, no matter what their ability. The great thing about the JD series of games is that you can choose your track depending on dance difficulty, and effort. So if you want to start with something a little more low impact, and build up to the more sweatastic tunes, you are completely free to do so. There are slower tunes from the 60s, right up to more energetic dance tunes, and there is even a Bollywood dance too. There are more than 40 tracks on JD 2, which is more than the original, as well as the downloadable options too. You can find a complete track listing here. It would seem churlish to mention the omission, yet again, of the track you would expect to be on this game – Just Dance by Lady GaGa – as the tracks really are a great mix, but perhaps Just Dance 3 could put this right to keep die-hard fans happy. A track from Footloose and Flashdance would be great too, but perhaps now I am just being greedy. The first Just Dance game was the best of its kind, so it almost goes without saying that after making considerable improvements to recognition of moves, and the addition of a calorie counter, Just Dance 2 is the dance game to beat all dance games – I would give it a 4.5 score if I could. The developers of this game have gone to great effort to build on the plus points of the original – that it was fun to play with friends, and it was a great workout as well as being fun. I also like the better recognition of moves and the feedback to help you improve, although as a slight complaint I would still prefer more accurate tracking – using maybe a camera or another controller as well. Overall though, this is the best dance game on the market.